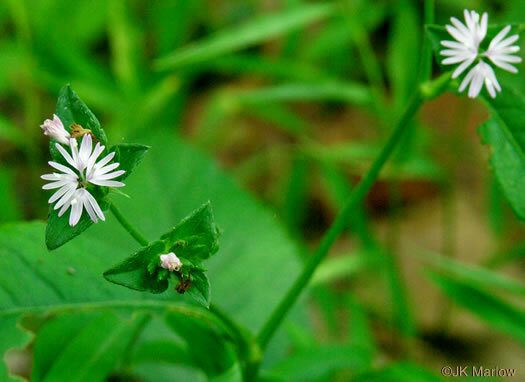 Each head has 4 disk flowers with 5 petal-like segments, per Wildflowers of the Eastern Forests. 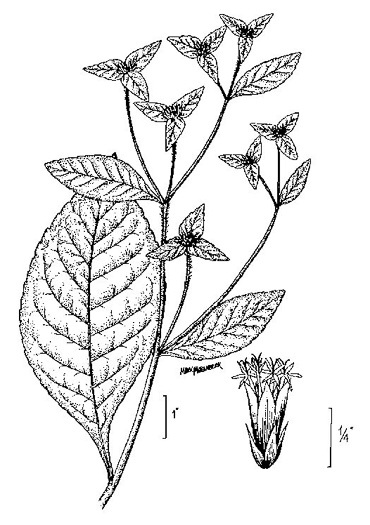 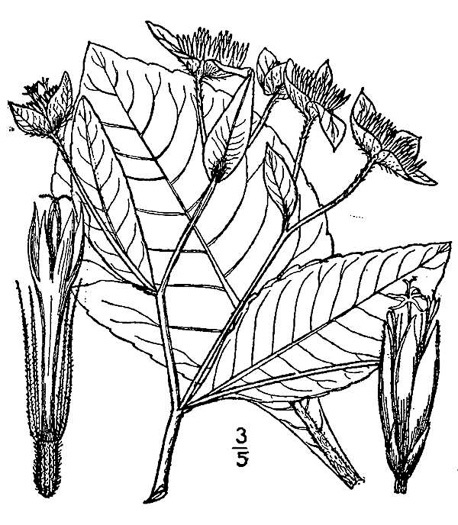 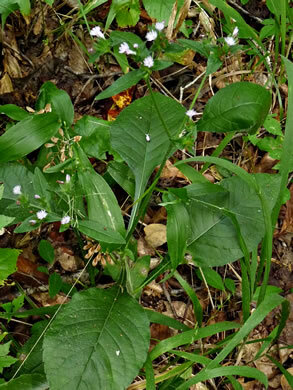 Flower clusters subtended by relatively large leaflike bracts, per Wildflowers of the Southern Mountains. 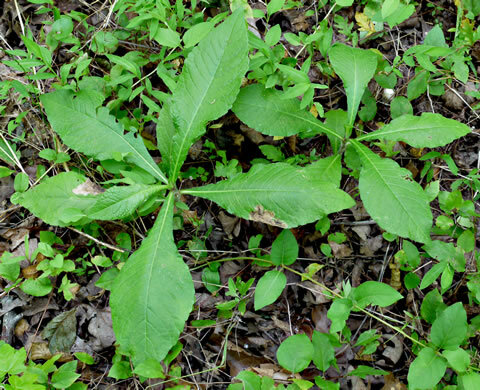 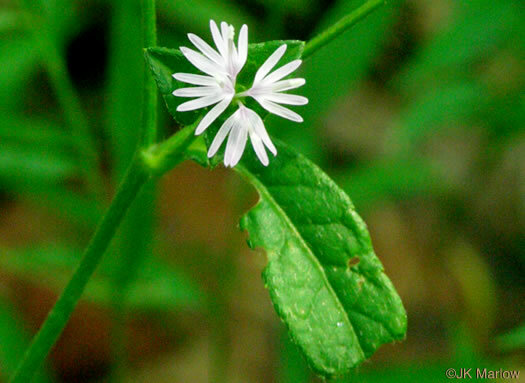 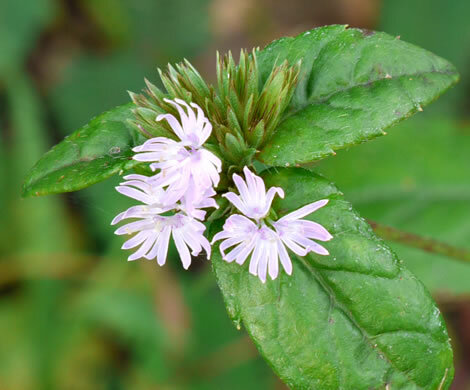 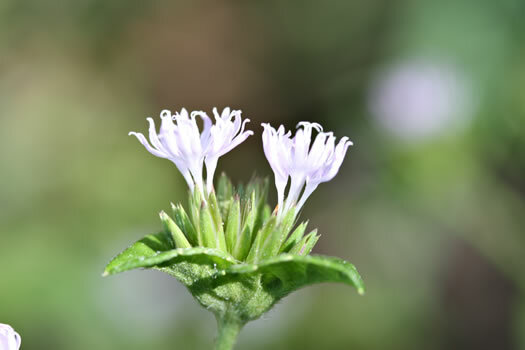 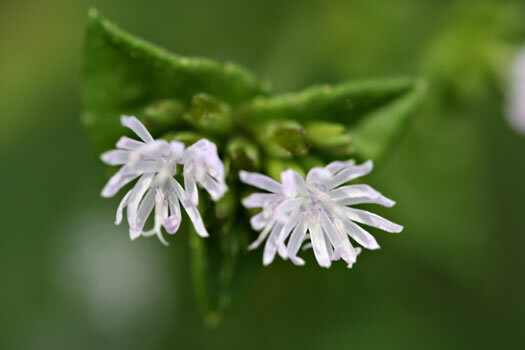 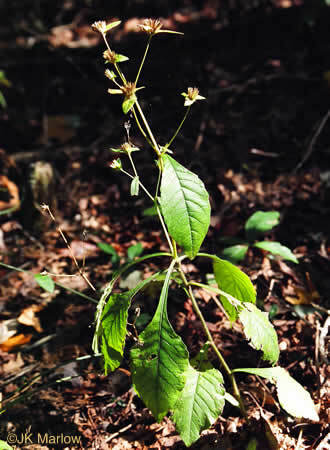 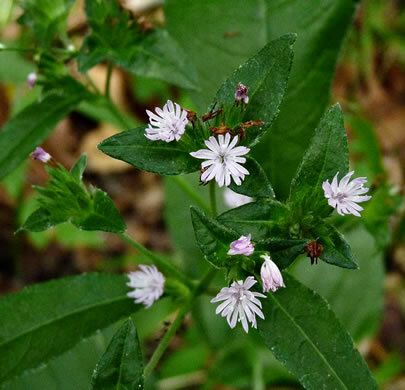 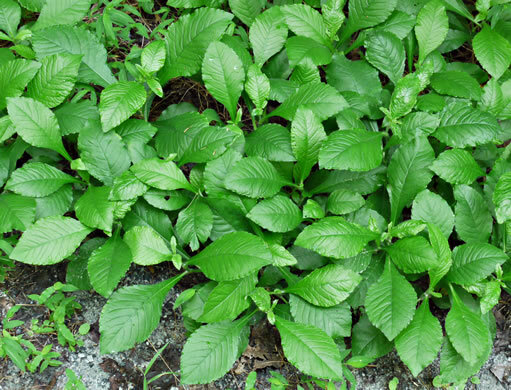 Basal leaves few, stem leaves well developed but reduced upward, per Wildflowers of Tennessee.